For most people, the mention of Thanksgiving brings to mind visions of roasted turkey filled with stuffing, pumpkin pie, family get-togethers, football, and young schoolchildren acting out stories of the Pilgrims sharing the first feast with native Indians . 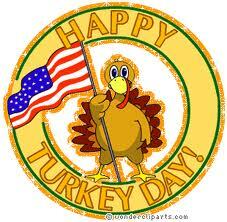 But was that day of feasting at Plymouth really the first Thanksgiving in this country? Let’s take a look into some of the history concerning this popular American holiday. Ancient cultures around the world have always held festivals to celebrate the harvest and pay tribute to their gods for the bounty bestowed upon them, a practice causing some church leaders to proclaim Thanksgiving a religions event. In fact, history has recorded a number of such ceremonies and feasts far predating the Pilgrims’ landing on America’s shores. Evidence exists that the first such celebration in America was a thanksgiving Mass held in 1598 by Spanish explorers to thank God for their successful arrival at San Elizario, Texas, after weeks of crossing arid wastelands with a group of 500 colonists. There is also the founding of annual “Thanksgiving” services documented in the 1619 charter of Berkeley Hundred, a settlement near Virginia Colony, more than a year before the Mayflower’s arrival to America. When the Mayflower arrived at Plymouth Rock in December of 1620, the 102 passengers, known today as the Pilgrims, were ill prepared for the severe New England winter. While constructing their new settlement, most spent the nights back aboard the ship in an effort to escape the harsh conditions. Even so, by March more than half of the passengers and crew had died from exposure, scurvy, and other diseases. With the onset of Spring, the Mayflower survivors moved ashore to their homes. Soon afterwards, they were surprised when Samoset, an Abenaki chief, walked into their settlement and greeted them in broken English. The next morning, Samoset left but returned some days later with Squanto, an English speaking member of the Pawtuxet tribe who was living in the nearby village of Pokanoket. With him was Massosoit (Ousamequin), leader of the Wampanoag Nation. With Squanto’s help, the Pilgrims formed an alliance with Massosoit and the Wampanoags that lasted for more than forty years. He also showed them how to hunt, fish, extract sap from maple trees, and grow corn and other vegetables. In November 1621, Plymouth’s governor organized a three day feast to celebrate the Pilgrims’ first successful harvest, inviting about ninety Wampanoag allies to join them, and becoming the model for our modern day Thanksgiving. Although there is no record of the exact menu served during the revelry, it has been chronicled that in preparation for the event, Governor William Bradford sent four men to hunt for all sorts of fowl, including wild turkey. It was also written that Chief Massasoit and the Wampanoag contributed five deer to the celebration. 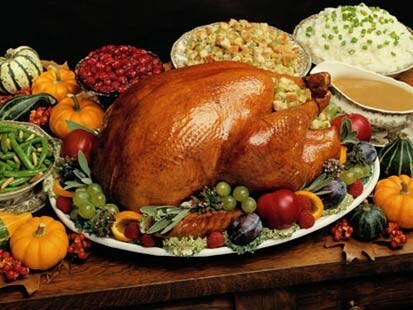 And while some historians have suggested that most of the dishes were prepared using Native American seasonings and cooking methods, one thing is almost certain–that first Thanksgiving was void of the vast assortment of pies and other desserts that are a hallmark of today’s festivities. Although the Pilgrims did hold a second celebration two years later, followed by occasional days of thanksgiving in other New England settlements, it would be 1789 before George Washington issued a proclamation naming November 26 as America’s first “Day of Publick Thanksgivin” in recognition of the successful conclusion to the Revolutionary War. Subsequent presidents, including John Adams and James Madison, also issued Thanksgiving Proclamations, but the dates and sometimes months of those celebrations varied. Over the next four decades, several states attempted to adopt annual Thanksgiving holidays, although the efforts were disjointed with each choosing a different day. In fact, most southern states were largely unfamiliar with the custom. Then in 1827, Sarah Josepha Hale, noted magazine editor, writer and author of “Mary Had a Little Lamb,” undertook a personal campaign to establish a national Thanksgiving holiday. Finally in 1863, after thirty-six years of Hale’s editorials and letter-writing to the top politicians, Abraham Lincoln finally named the last Thursday in November as the national day of celebration. That date remained in effect until 1941, when President Franklin D. Roosevelt signed a Congressional bill making the fourth Thursday in November America’s official Thanksgiving Day (some years have five Thursdays in November) and a legal public holiday. Celebrations of harvests and plentiful bounty have been recognized by cultures on every continent for millennia. In fact, Native Americans were commemorating their fall harvests with feasting and merriment long before Europeans set foot on their shores. This entry was posted in Pies/Tarts, Poultry, Vegetables/Sides and tagged family, food, holidays, pilgrims, Thanksgiving by grubamericana. Bookmark the permalink.